The meat on the Lamb Hind Shank surrounds a marrow bone, which adds gorgeous flavor and body to the braising liquid while the meat cooks. Our 22 Oz. 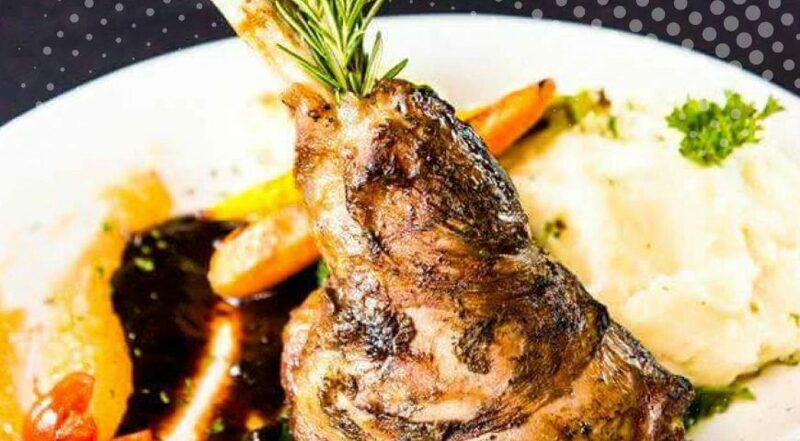 Lamb Hind Shank is carefully seasoned with fresh herbs and mint – served on a bed of spinach with creamy mashed potatoes and fresh grilled veggies. Pinot Noir is often a perfect match because the acidity and bright fruit notes in Pinot Noir act as an excellent foil for the earthy richness in lamb.